These VW/T25/T3/Vanagon Westfalia Front Table Brackets are a a worth while addition to any VW/T25/T3/Vanagon van. SKU: CVC-TBGREY. 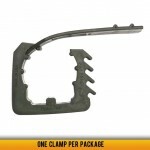 Categories: Latest Products, Westfalia Interior Parts. 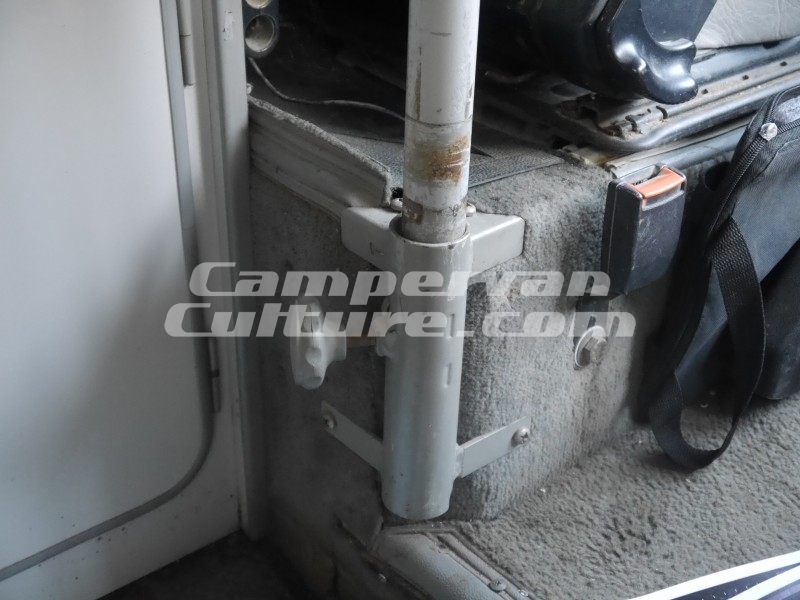 At CampervanCulture.com we use the vehicles that we sell parts for and totally get why Westfalia mounted the front table on the drivers side seat box so it could be swung round and stored between the front seat and kitchen unit. Just recently we looked at this and found that if there was an option to pop the front table on the passenger side too it makes a much more user friendly space, especially when the passenger seat is turned around to face the rear. 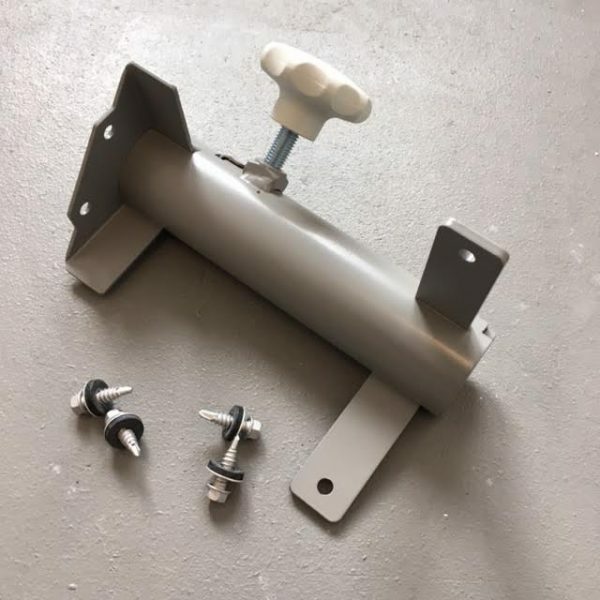 We have designed and made this front table bracket so you now have the option to fit your front table on both seat boxes and if you do not have a front table all ready you are now a step closer to achieving this very worth while upgrade. Each bracket has been expertly cut and welded then shot blasted, etch primed and professionally powder coated in grey for the perfect finish. 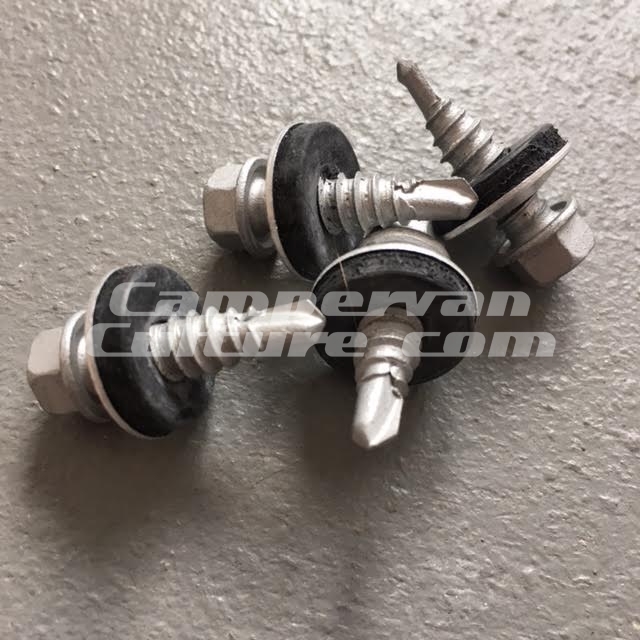 The correct threaded knob has then been fitted in the correct colour and it comes with 4 stainless steel fixing bolts that have their own built in drill bit so you just drive those in. Fitting could not be easier and takes about 20 seconds! 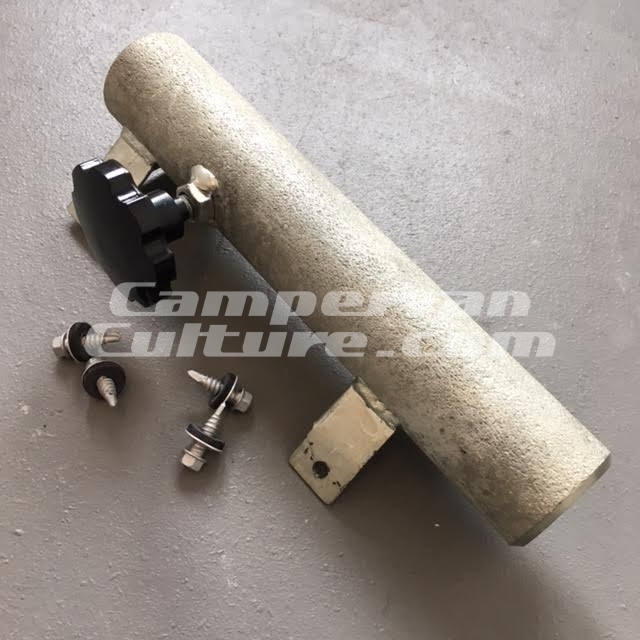 CampervanCulture.com now stocks the widest range of T25/T3/Vanagon/LT Westfalia parts in the UK with new items being added all of the time. We hold all of our stock here in the UK for fast dispatch to the UK and around the world.